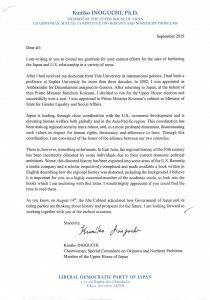 Kuniko Inoguchi (猪口邦子) is a political scientist turned politician elected to the House of Representatives from 2005-2009 and House of Councillors from 2010-today. She is a member of Liberal Democratic Party. 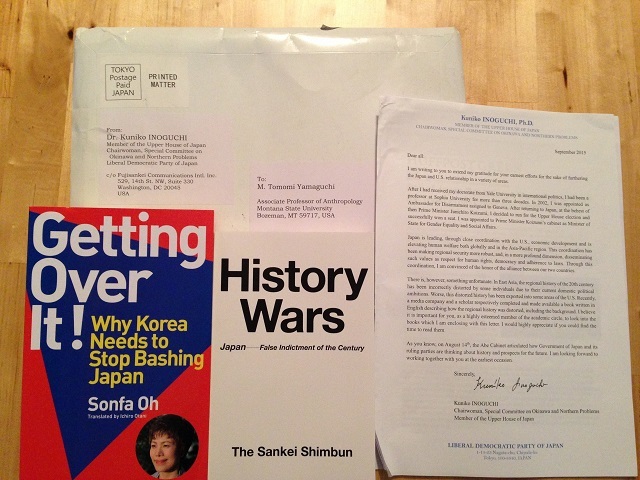 In September 2015, Inoguchi sent a package containing copies of books glorifying or defending Japan’s past to over a hundred scholars and journalists specializing in researching and reporting on Japan. 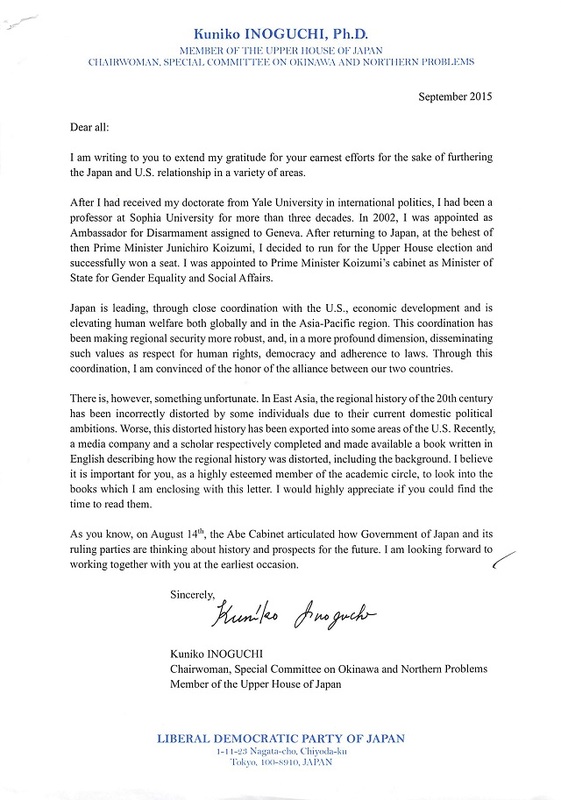 The accompanying letter signed by Inoguchi stated, “In East Asia, the regional history of the 20th century has been incorrectly distorted (sic) by some individuals due to their current domestic political ambitions […] I believe it is important for you, as a highly esteemed member of the academic and policy circles (sic), to look into the books which I am enclosing with this letter.” Included books were “History Wars” published by Sankei Shimbun and “Geting Over It! Why Korea Needs to Stop Bashing Japan” by Sonfa Oh, a naturalized Japanese citizen of Korean descent.